Why Do the Condo Buyers Prefer Buying Jade Ocean Apartments for Sale? Why Contemplate Buying Jade Ocean Property for Sale? Luxury properties located directly on the ocean have always been and will always be high in demand in any part of the world and any real estate market. Most of the time, the modern condominiums that are built on the ocean are very luxurious with all the latest features and amenities. Living in condominium communities creates a specific lifestyle that is very desirable among people who are looking for such lifestyle. One of the most luxury condominium, Jade Ocean, is a perfect picture of an ideal beachfront luxury community. Located in the gorgeous Sunny Isles Beach, this luxury property is a favorite of the condo buyers, who come from all over the world in search of luxury properties located in the stunning locations. In the Sunny Isles Beach, there are many luxury condominiums and beachfront residences that have high demand in the real estate market and thus, the real estate market is developing rapidly in this area. Because Jade Ocean was built several years ago, there are few offering Jade Ocean properties for sale. Those who want to purchase a stunning residence directly on the Atlantic ocean, should consider Jade Ocean in Sunny Isles Beach, Florida. This is a high-rise condominium, rising 51-stories high and offers only 256 luxury residences all with direct ocean views. The apartments in Jade Ocean are considered ultra-luxury properties that have high value and demand in the present-day real estate market. So, if you are on the market to buy a unit in this luxury condominium, it will certainly be a profitable investment for the future. Condo buyers look for such properties, the value of which is going to rise in the near future and Jade Ocean is an ideal property to invest, from every aspect. 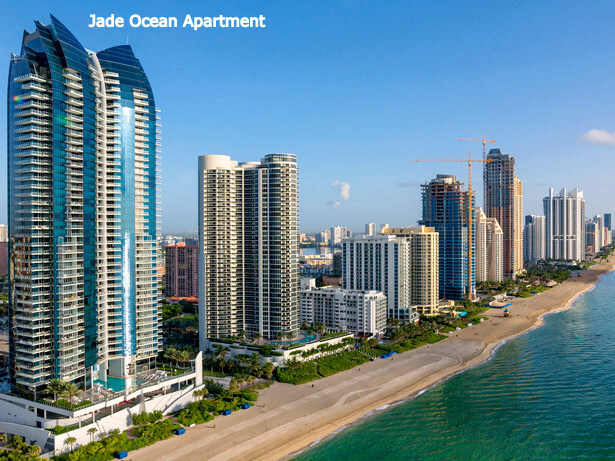 If you are interested in buying a unit in Jade Ocean, you can visit our website – www.jadeoceansunnyisles.com and check the availability of Jade Ocean apartments for sale. You can also find out about the current prices for different units, the purchase process, and get the details like the floor plans for all the apartments in Jade Ocean. This beautiful, luxury condominium is designed by the eminent architect and designer, Carlos Ott, and the palatial structure of this great edifice is certainly one of its many striking features. The units in this condominium are available in various sizes and their prices are also varied. And so, you can choose an apartment in Jade Ocean as per your preference, requirement, need, and budget. One Sotheby’s International Realty is the expert real estate company offering many units for sale and rent in Jade Ocean Sunny Isles. To find out additional information about this or other properties in South Florida, please contact our office at (305) 332-3574.